Today, Matt Mullenweg celebrated 10 years of blogging. 10 years! That came as quite a shock to me especially as blogging is something that in my role I find myself encouraging academics to think about doing it themselves. In his post he’s able to look back at his senior year at college and all his thoughts are there. 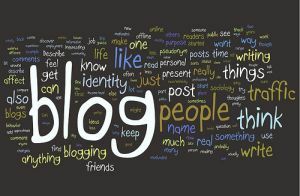 Staff at the University blog for many different reasons – to update other staff, to promote their areas of work, to share best practice and to celebrate their areas of expertise or research activity. Reading Matt’s blog excited me more, after attending a CIM event about REF 2014 (Research Exercise Framework) yesterday. The first session of the day was academic Matt Goodwin from the University of Nottingham presenting how he and colleagues in his department set up Ballots and Bullets. This blog not only promotes and disseminates their research and acts as a way of engaging the wider community with their research, but also provides a platform for them to act as experts. This idea isn’t new of course, but how they achieved the success they did, and continue to do so, really excites me for getting our own academics on board!